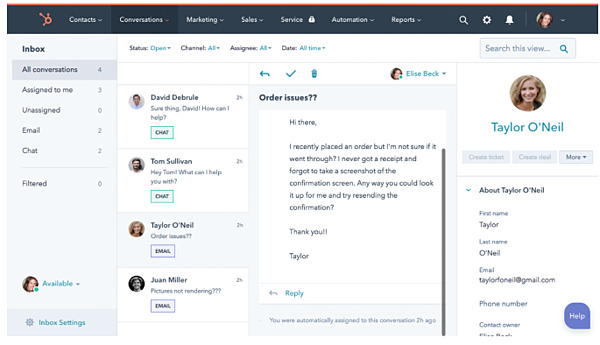 Of course, you can upgrade to get additional features and functionality that isn't offered on the free version, but if you're just trying something out like AI (artificial intelligence) bots, sales chat or pop-up forms, this could be a great way to get your feet wet without a huge commitment. Free custom web form service that's great for lead collection, contact forms, etc. Advanced email scheduling so emails can go out at time in the future that you select. Meeting scheduling service that works with your calendar so you can offer time slots to those who would like a meeting with you. There is also a TON of free training on how to use HubSpot effectively to grow your business on their website. Even if you're not going to use the tools, earning the Inbound Marketing and the Inbound Sales certifications will give you an overview of what it takes to grow your business. But here's a look at just some of the free training formats so you can find one that works for you. 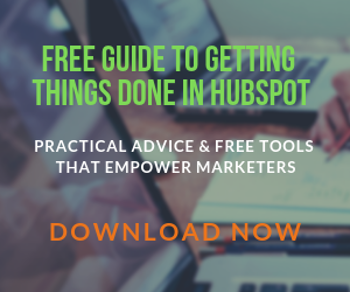 If you're interested in learning more or starting out with the free HubSpot tools, you can visit the HubSpot website. We know that pictures can make a break a website engagement, an ad or a social media post. So how can you get some great looking imagery without having to pay huge amount for stock photos, a designer, design software, etc? That's where we've found Canva to be super helpful. Note: There are some standard dimensions you should stick to for things like Instagram and Facebook posts so that your image and/or message doesn't get cut off. Check out the CTA I made for our free content offer (for real) using this tool. This took about 10 minutes using a free Canva template that included the pre-set size. 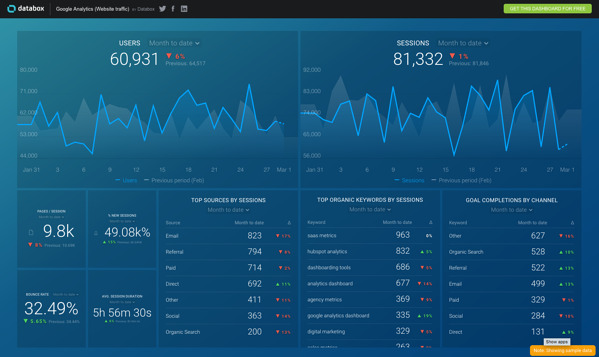 If you're looking to catch someone's eye on your website so they'll become a lead, this tool can help! Many free images you can use. Some require a small fee, but very inexpensive in comparison to buying the photo directly from a stock photo website. We have designers in house, but as a marketer there are times when I just want to get something done without being in the designer's queue. This is a great way to do it and have it look professional. Reporting. It's something we all need, but no one wants to have to spend the time to get it done. 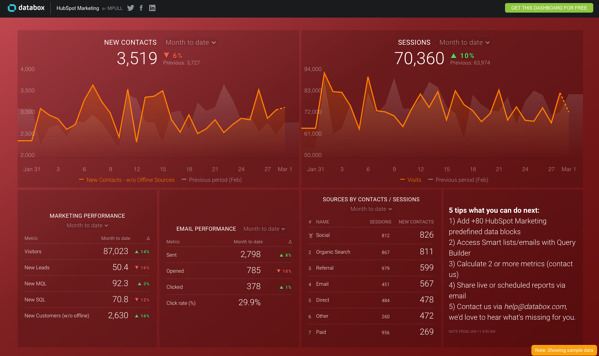 If you're using HubSpot you can see some data on the dashboards, but it can be hard to get executives to login and look around in the tool. Most of us want to see just what we need to know in a nicely distilled, easy-to-understand format. Enter Databox. They get it. That's because they have a staff filled with former HubSpotters who understand what KPIs are most likely to be reported on and how critical reporting is to everyone in your organization. They've made it both free and easy to create reports. This is perfect for when someone pops in and says, I have a meeting tomorrow, can you give me stats on [insert whatever that metric may be]. With this in place you won't have to spend your time doing a bunch of report generation. There is a spot where you can type in some analysis if that would be helpful for your viewers. How you present the information is totally up to you and what works best in your situation. TV display option. This is fun when you have data you'd like to track together as a team. 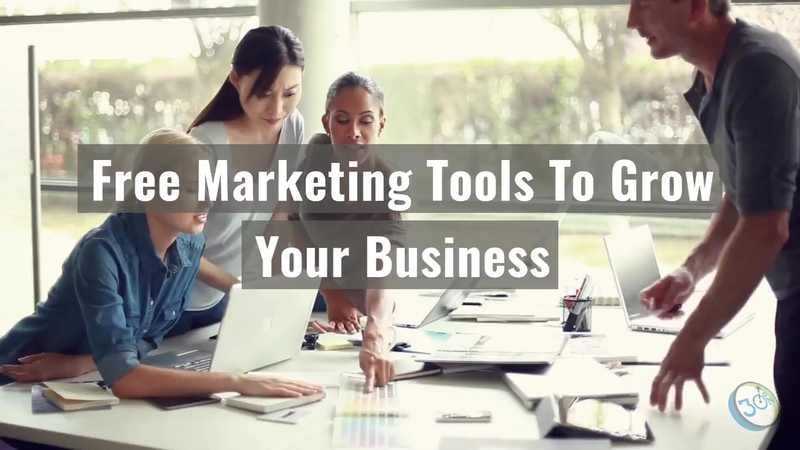 I'm sure there are other free marketing and sales tools out there that are great, but these are three that we use, like and trust. If you're looking at this year's marketing and sales goals and would like to brainstorm creative ways to get it all done, please let us know. Originally published November 2015. Updated March 2019.